An extensive survey of Italian voters conducted by the Italian daily Il Messaggero in late December reveals that 22 per cent of Italian adults now describe themselves as part of an anti-establishment “movement of discontents,” 14 per cent as “conservatives,” and another 16 per cent as part of a newly formed group called “Italy First,” apparently inspired by Trump’s “America First” platform in the United States. The “progressive block,” on the other hand, comprising social democrats, reformers, environmentalists, anti-fascists and radicals, has fallen dramatically in the same period. In 2013 the “progressive” group had a constituency of 30 percent of the adult population but now has fallen to just over half of that—or 16 per cent—today. Reporting on the results of the survey, Il Messaggero proclaimed that the new data signaled the “rebound” of the pro-Italy right and the “collapse” of the political left. 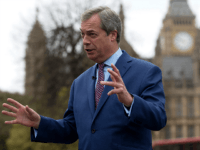 Regarding particular issues, the study also revealed a significant shift in public opinion against both immigration and the European Union (EU). According to the most recent statistics from the International Organization for Migration (IOM), immigrants make up nearly a tenth (9.7 percent) of Italy’s current population of some 60 million persons, and the numbers over the last five years have risen dramatically in comparison with immigration even a decade ago. 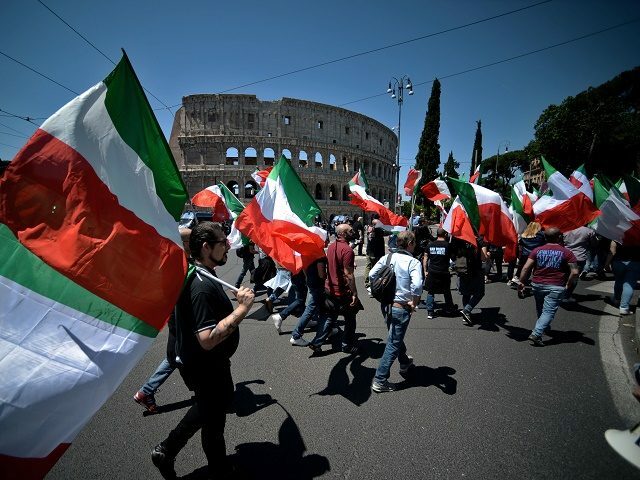 As Breitbart News reported last summer, the combination of a plummeting birthrate and massive immigration indicate that native Italians will make up an increasingly small percentage of Italy’s overall population. According to a comprehensive study conducted by the Centro Machiavelli, called “How immigration is changing Italian demographics,” Italy’s fertility rate has fallen to less than half of what it was in 1964, to just 1.5 children per woman, well below the replacement level for zero population growth. Italy now has over five million foreigners living as residents, a growth of a 25 per cent since 2012 and a remarkable 270 per cent over 2002. At that time, foreigners made up just 2.38 per cent of the population while fifteen years later the figure has nearly trebled to 8.33 per cent of the population. If current trends continue, the Centro Machiavelli reported, by 2065, first- and second-generation immigrants will exceed 22 million persons, or more than 40 percent of Italy’s total population. The Italian national elections are tentatively scheduled for March 4, 2018.